I have two assignments featured in the Summer issue of Atomic Ranch, available on newsstands now! 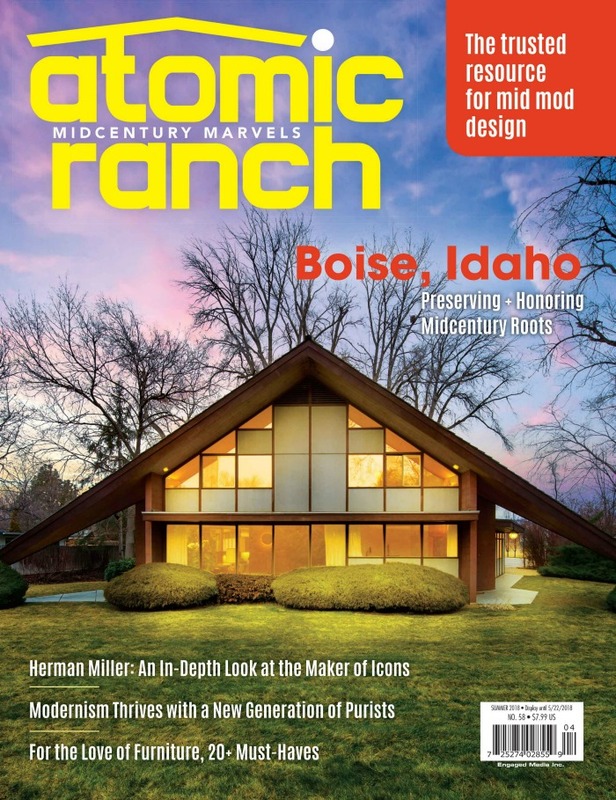 One of which is the cover story, taking a closer look at Boise and a real estate agent's initiative of shining a spotlight on the city's Mid Century homes hitting the market. The growing appeal for buyers of these period gems has also prompted the praise of their noted architects and designing interiors that seamlessly blend Mod and Modern style. I also got a chance to talk with Tindall Architecture Workshop about their completed client project in Greenville, SC (image above). A quintessential MCM home that received a painstaking remodel within the original footprint, keeping classic design principles in mind for a current 21st century lifestyle. 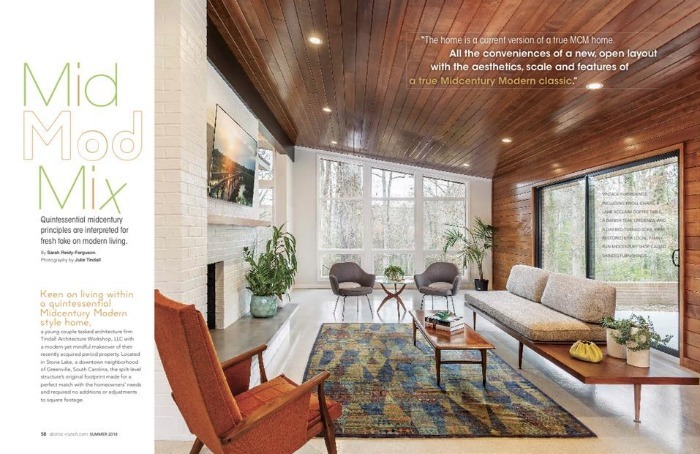 When you pick up your copy, check out the piece 'Curating Midcentury'..... A really great article on a couple's Boise MCM home that they have filled with a mix of original decor and today's reinterpreted styles. 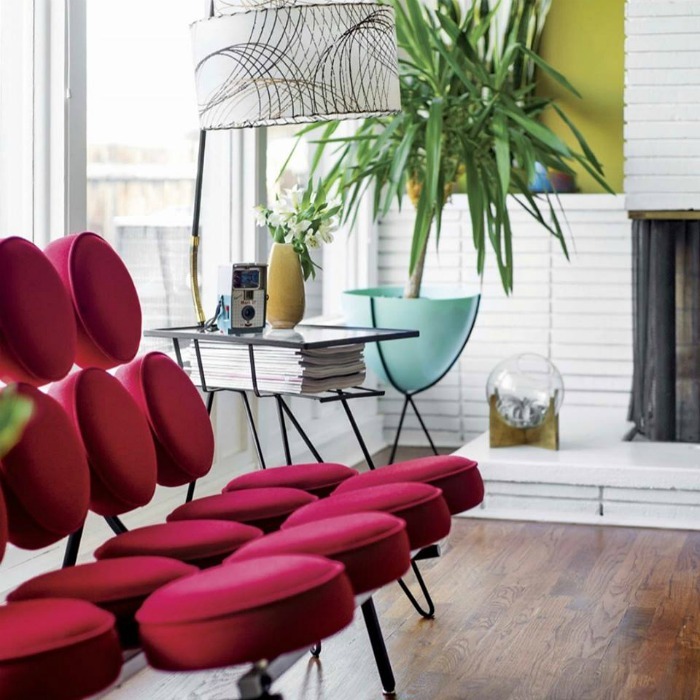 I couldn't help but spot Hip Haven's Retro Bullet Planter, a bright pop of color nestled by the home's restored fireplace. Read more about Hip Haven's founder Kelley Sandidge from our 2016 Q&A.